Many people do not realize the damage being caused to this planet by the progress of humanity. In the forms of mines, deforestation and cities, the ecosystems are being decimated. The scale of the destruction being caused by the developing nations is unfathomable – that is until you take a picture from the sky. Be it with satellite from Google Earth, the international space station, drones or just normal planes, these pictures help by putting the situation into perspective via scale. This list contains ten horrifying photos showing the destruction of the environment. 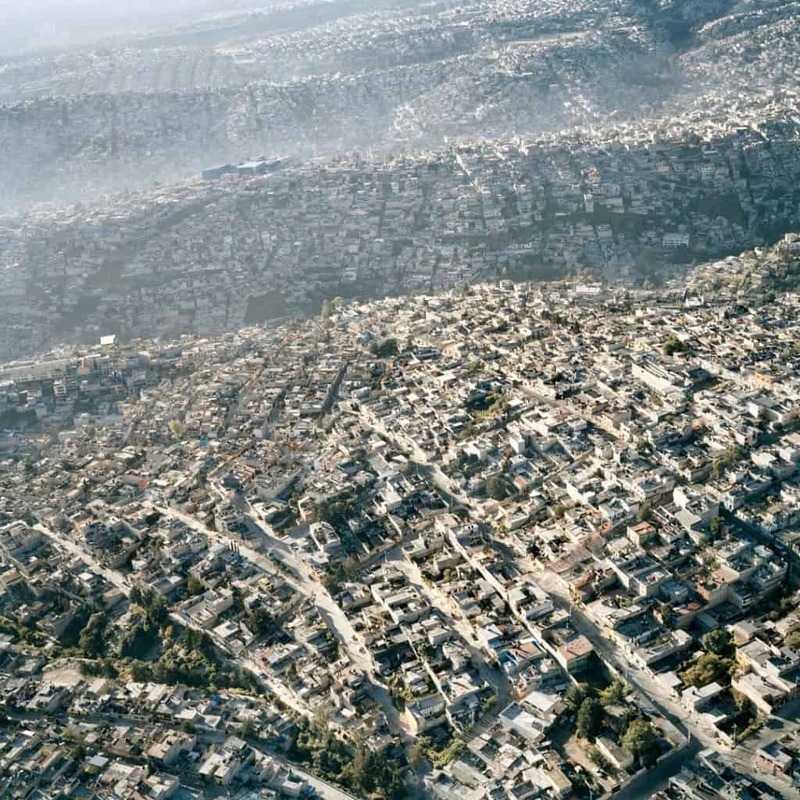 This picture taken of Mexico City completely illustrates the destruction that “progress” creates on the natural ecosystems. Where there should have been green trees over beautiful rolling hills, there is building upon building of smog covered human habitation. 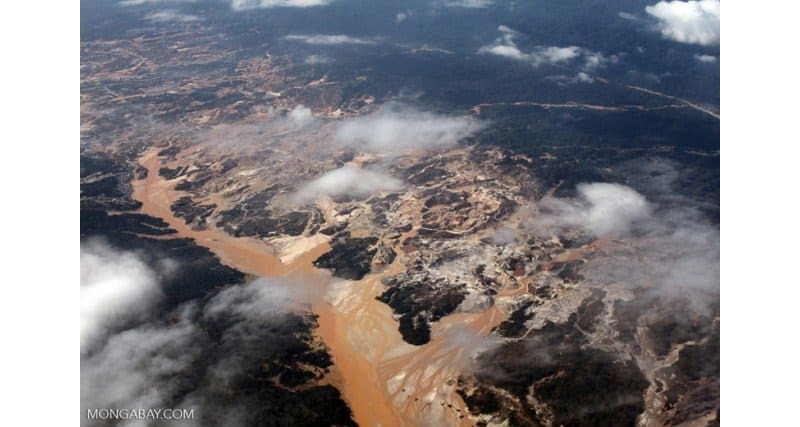 This gold mine of the Manu Province in Peru decimates the local waterways with pollution. Due to deforestation and mining activities, soil erosion is occurring, as well as mercury poisoning in the waterways. 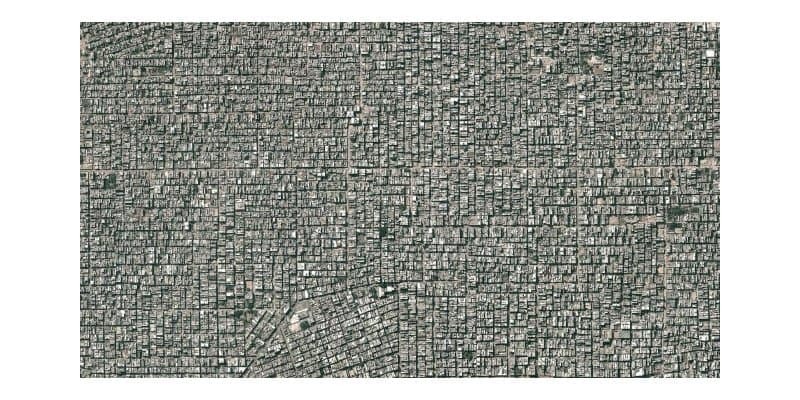 Delhi is the second largest city in the world with regards to population, with the two suburbs of Santosh Park and Uttam Nagar being shown in the picture. In this picture there is no green of trees or brown of earth or blue of water. It has become a concrete jungle. New York City shows the stark contrasts between what was and what is. Concrete and steel surrounding the precious tiny bit of nature in the center. It is almost as if Central Park is giving false hope to nature and the rest of the world by surviving in the giant city. In Japan there is the most populous city in the world. 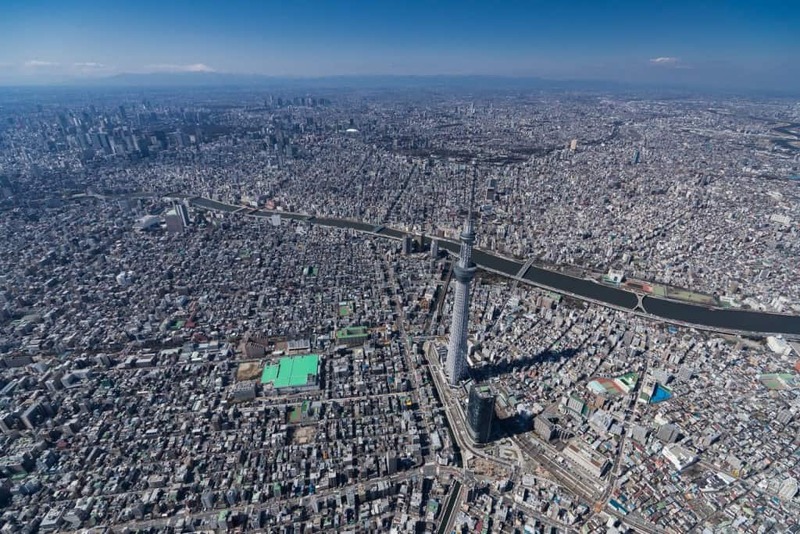 Containing almost 40 million souls, Tokyo is secondly only to New York City in terms of city construction and building progressions. Keep in mind that Manhattan was considered to be at its peak in 1910, whereas Tokyo was destroyed in WWII and had to be built to where it was today since then. 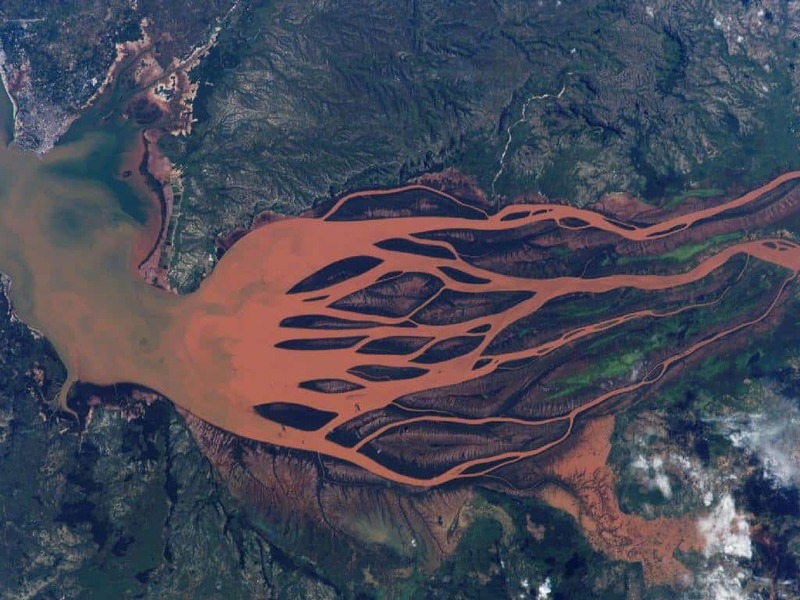 This terrifying image is of Betsiboka Estuary in Madagascar. Again, the red soil in the waterways of Madagascar’s largest river is due to deforestation, and therefore soil erosion. As there are no more trees and vegetation to hold the soil down, it is washed into the river, looking like blood flowing out of the land that is dying; and into the ocean. 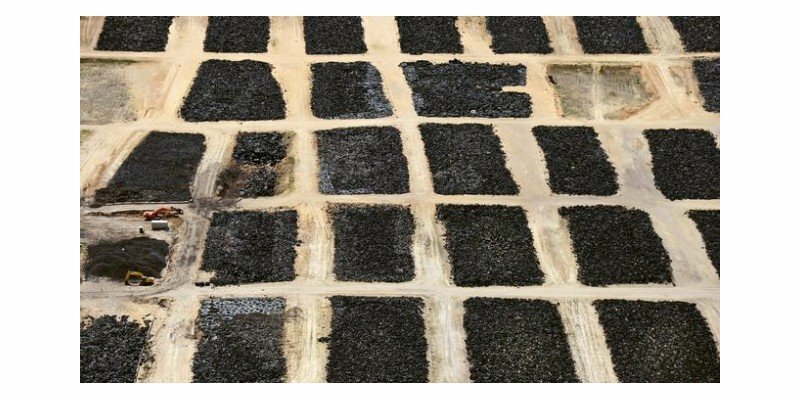 What is depicted in this picture is landfill chocked with used tires. Out of the estimated 100 million used tires in the US, 60% of them are in the landfill at Colorado. Fortunately this is soon to change as this site will be closed before 2020, and the tires are to be recycled. 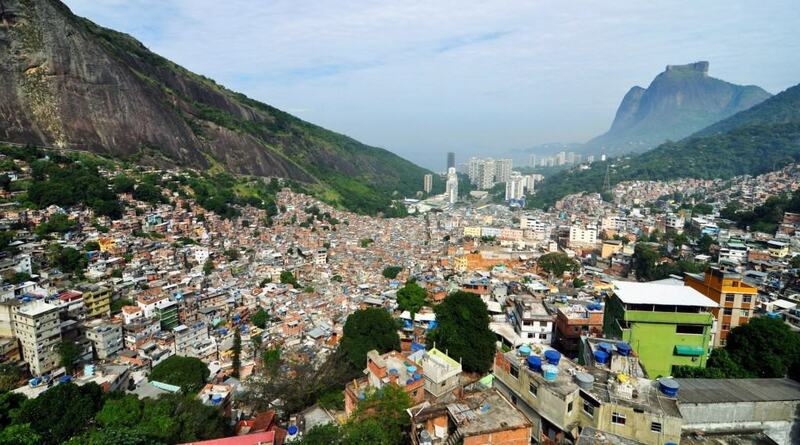 The slums shown are called Rocinha and overlook the rich side of town. This picture from Brazil is interesting because even though it is the most densely packed slum, it at least contains some green. It makes us wonder why there is no green in Tokyo or Delhi; maybe its because nature is seen as the opposite of progress. 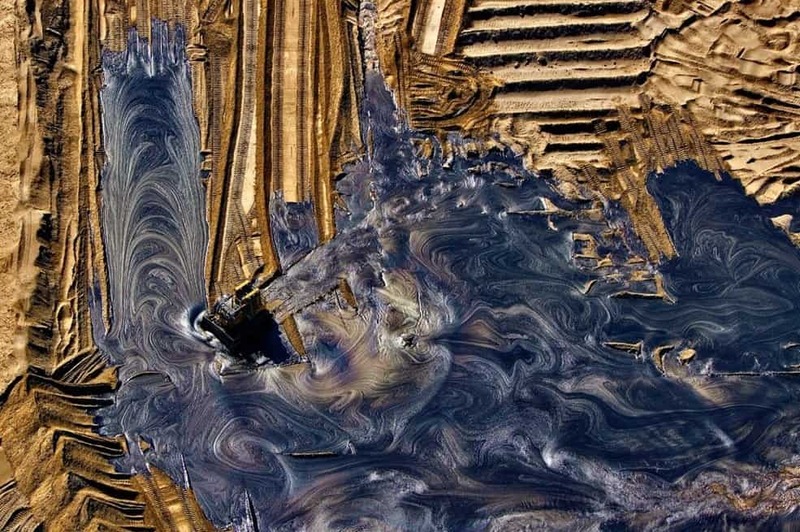 This mesmerizing picture is of the oil containing sands from Alberta, Canada. Alberta is the third largest crude oil reserve in the world – after Venezuela and Saudi Arabia. For all the size and worth of this deposit, this form of oil requires the most processing to refine it to be usable. This increases the destructive power of the oil even more. This picture was taken on Google Earth of Dalhart in Texas. 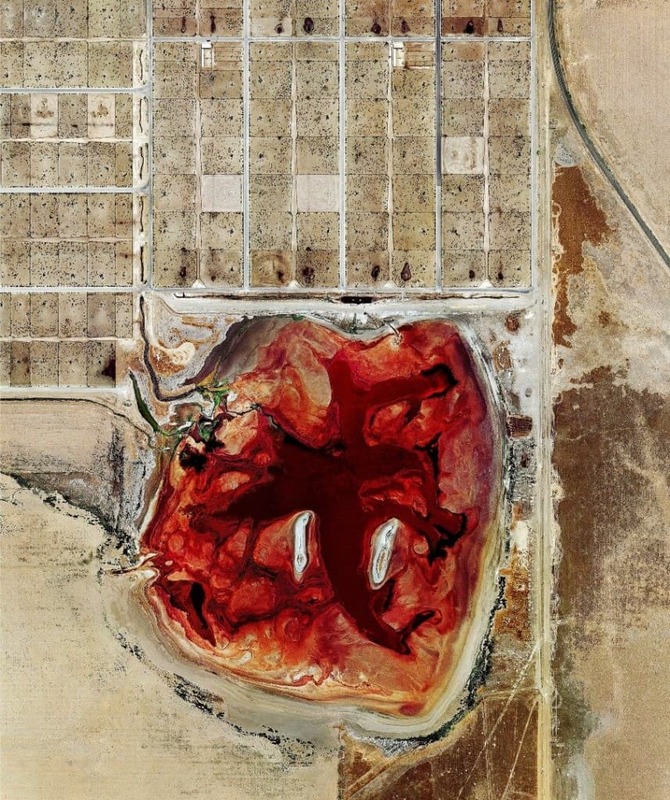 What is shown in red is the manure from the livestock being deposited in one giant section. Due to the dead environment around the dump, much of this manure will struggle to decompose, and thus better management methods are being researched.